The RainSport 3 is our latest generation tyre featuring Shark Skin Technology. Inspired by its marine namesake, the tyre has a flow-optimised tread structure that minimises water turbulence and aids fast water drainage. You'll experience optimum aquaplaning resistance and peak performance in the wet. Awarded the prestigious Red Dot Design Award, judges praised its innovative technology and its clear, unique performance promise. Its special tyre pattern increases the tyre's contact area on wet roads so you can zip around with confidence, turning left and right in total control. 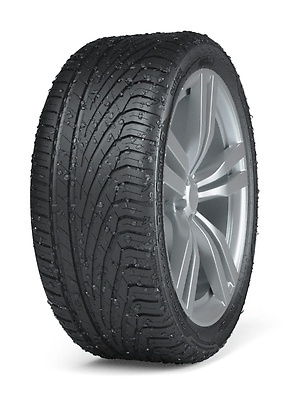 The RainSport 3 is rated grade A on the EU Tyre Label for wet grip, indicating the highest possible performance in wet and rainy conditions. Fast Curve Configuration and flexible tread blocks increase the area over which forces are transferred to the roads. So, even when you take a corner at speed, the RainSport 3 will keep its grip. Run-flat tyres, which Uniroyal also refers to as SSR tyres (the abbreviation stands for ‘self-supporting run-flat’), have a reinforced sidewall. 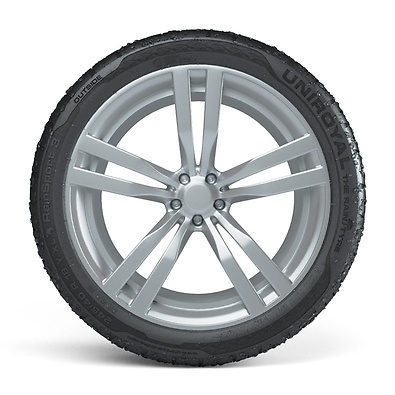 In the case of a puncture, this prevents the sidewall from being crushed between the wheel rim and the road, which in turn prevents air from escaping. As a result, it is possible to reach the nearest garage safely – even in the event of a puncture. 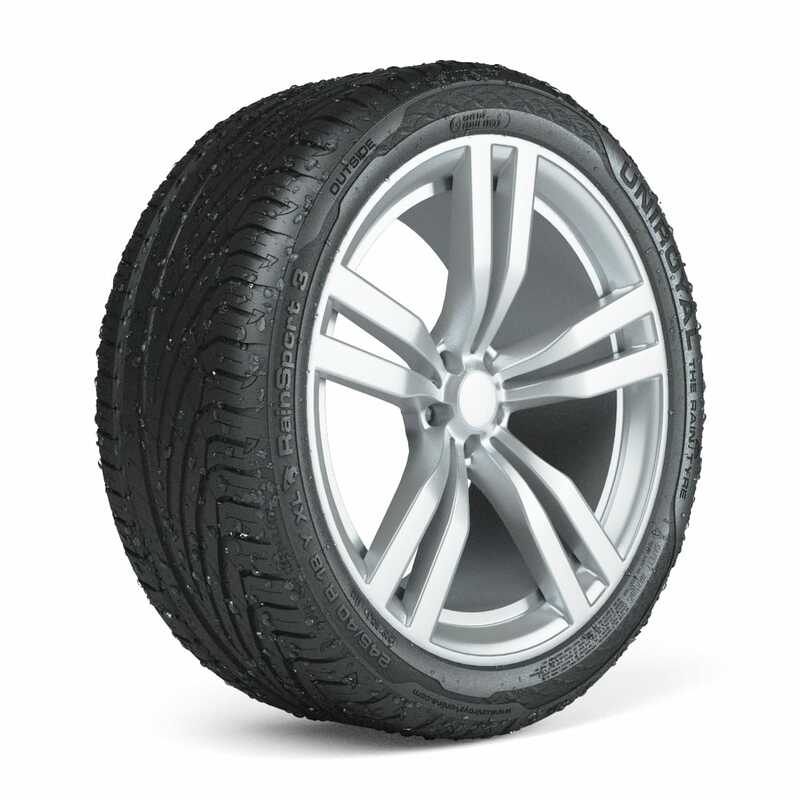 With SSR tyres, drivers can continue their journey for up to 50 miles (80 kilometres) at a top speed of 50 mph.